Have a great winter treat that is perfect for those 'lazy' days. 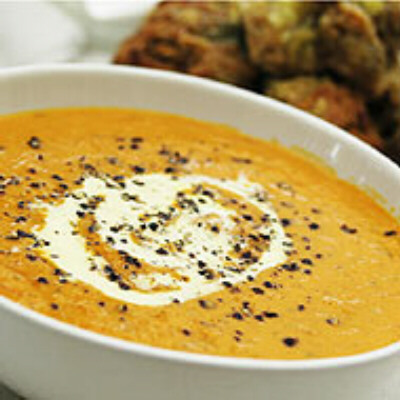 With these 7 easy steps, pumpkin soup could never be easier! 1. Heat oil in a large saucepan over low heat. 2. Add onion and leek and cook for 2-3 minutes, until softened but not colored. 3. Add garlic and spices and cook, stirring, for 30 seconds. 4. Add pumpkin, potato and stock and bring to the boil. 5. Turn heat to low, cover and simmer for 30 minutes. 6. Allow to cool slightly, then blend in batches. 7. Return soup to pan, stir through cream and reheat gently. Season and add a little more nutmeg if desired.